In the mood for breaded shrimp but don’t want all the heavy carbs? 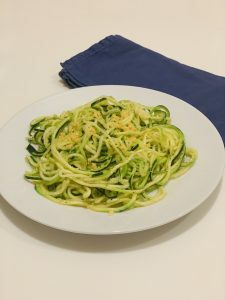 Bread them with Chedz instead for a Keto-friendly meal! Add shrimp to a large skillet with the heated olive oil. Flip shrimp over and fry both sides until cooked. Enjoy! 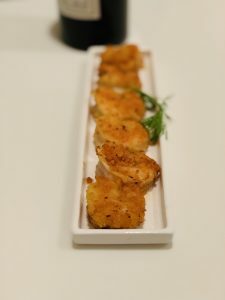 This is a recipe that you can make and have 2 different types of appetizers at one time! 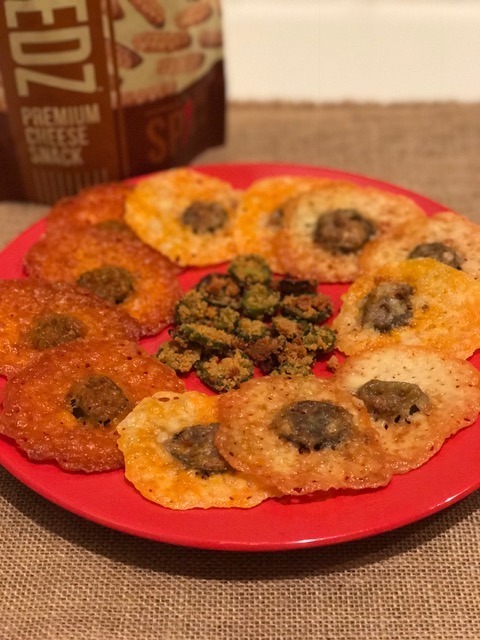 If you want to bring the Chedz heat up an extra notch and you like jalapeños, definitely try this! 6 Slices Naturally Aged Cheese Slices Can use a combination: Parmesan, Swiss, Provolone, Havarti, Colby. Cut into half. Crush Chedz into fine crumbs by using a rolling pin, food processor or Magic Bullet. Slice your jalapeno into thin slices or rings. Cut out seeds if you don't want them spicy. Bake for 10 to 15 minutes or until jalapeno slices are crispy. Remove jalapenos from the oven and let cool. Lower oven temperature to 400 F degrees. Place the jalapenos slices on another plate or tray. Re-line your baking tray with parchment paper. Cut choice of cheese slices in half. Place 12 half slices of cheese on the parchment paper. Put one slice of jalapenos ring on the edge of the half cheese slice. See pic. Fold over the half cheese slice to cover the jalapenos ring. See pic. 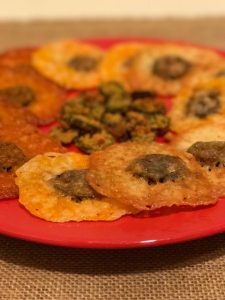 You will have some left over jalapenos rings that can be used as a crunchy appetizer, in addition to the cheese crisps to add variety. Bake for about 10-20 minutes or until cheese is crispy. Provolone and Havarti a little longer to bake. Be sure to check after 5 minutes so they don't burn. Remove from oven, let cool, then season with salt if desired. 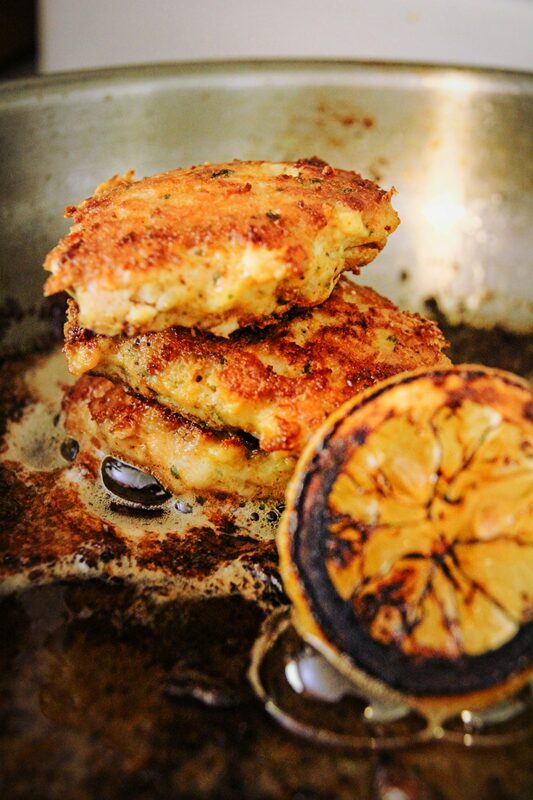 Serve with your favorite sauce. Love mushrooms? 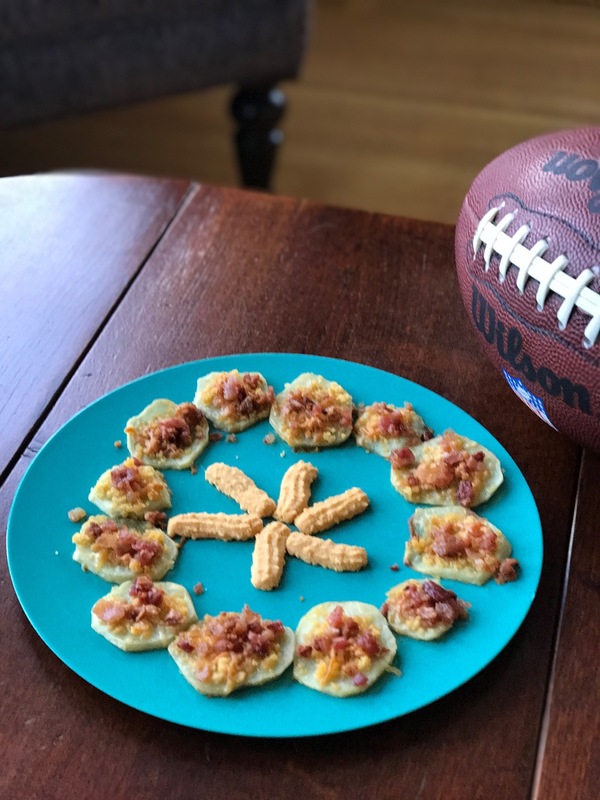 Spruce them up with Chedz! This recipe can be fried or roasted in the oven. If baking, preheat the oven to 400F. Crush Chedz finely into crumbs using a food processor, rolling pin or Magic Bullet. Clean mushroom caps with a wet paper towel. You should have about 16-18 pieces. If frying, add 3-4 TBS of olive oil in a pan on medium low heat. Add chopped garlic cloves to oil and fry until fragrant; be careful not to burn. Add mushrooms and fry for 1-2 minutes. Add butter and toss mushrooms. Add fresh lemon juice, toss thoroughly. Add spices: Oregano, Dried Garlic Powder, Salt and Pepper to taste. Toss thoroughly. Add Chedz crumbs and mix. Serve and enjoy. Melt the butter in microwave or stove top. Add garlic, dried garlic, Oregano, lemon juice, and salt and pepper to taste. Add Chedz crumbs and mix thoroughly. Bake in oven for 15 minutes or golden around the mushroom caps. 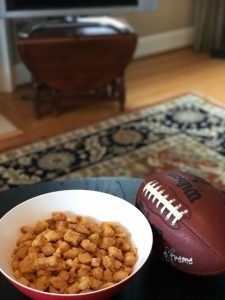 This divine turkey chili recipe with Chedz is great after Thanksgiving leftovers, cold days and on game days. You can also substitute chicken. 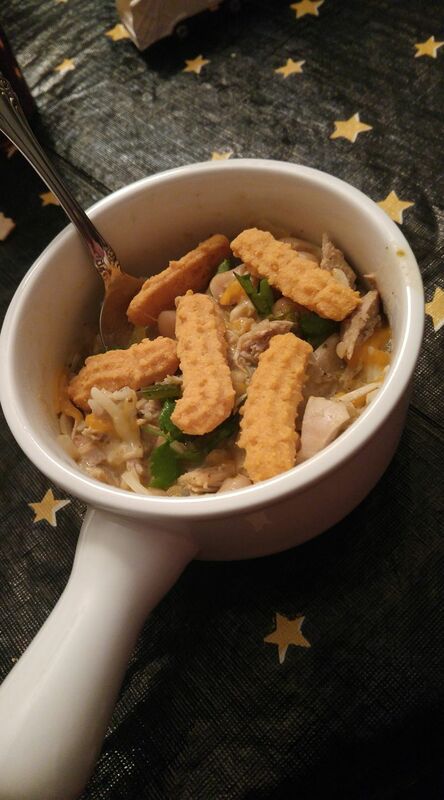 Chedz goes well crumbled on top of chilis and soups or add the sticks directly on top! In either form, it makes chilis and soups more exciting to the palette! 1 Large Yellow onion minced finely If you prefer less onion, use a small one or omit if desired. 2 Ounces Chedz (Any Flavor) Sticks or crushed crumbs. Can use more or less. Cook onion and peppers in oil until soft, 5-10 minutes. Add garlic, chili powder, salt, cumin, coriander and oregano. Stir and cook for about 1 minute until fragrant. If making with cooked turkey, go to the next step. If using uncooked chicken, add broth, chicken and beans to pot. Bring to a boil, then reduce to simmer. Simmer until chicken is cooked through (15-20 mins). Remove chicken to cool, then shred using 2 forks. Add turkey (or chicken) to heated broth and stir in salsa verde, lime juice and cilantro. Heat through. 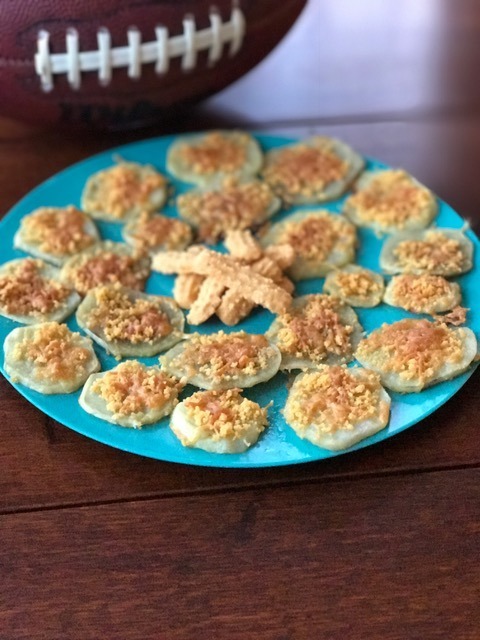 Right before serving, add Chedz crumbs or sticks on top and enjoy! There are lots of potato rounds recipe out there but this one is unique because it has crushed Chedz crumbs and optional bacon. Be sure to try this easy recipe for a party, event or any game day celebrations such as the Super Bowl! Line two 9x13 casserole dishes with foil. Crush Chedz sticks into fine crumbs using a rolling pin, food processor or Magic Bullet. Clean and peel potatoes and cut into thin slices. Lay potato slices on dish without overlapping. Brush each one with olive oil. Optional: top with bacon bits to taste if desired. Bake covered in oven for 10 minutes and uncovered for another 5-10 minutes. Watch it when it is uncovered so that it does not burn. 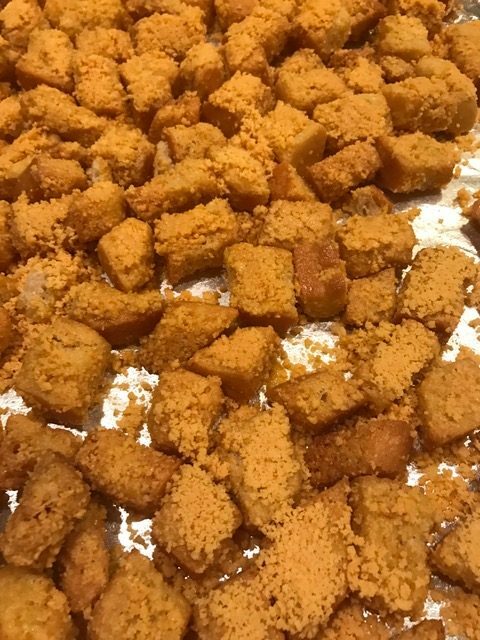 Do you want to liven your favorite croutons up? 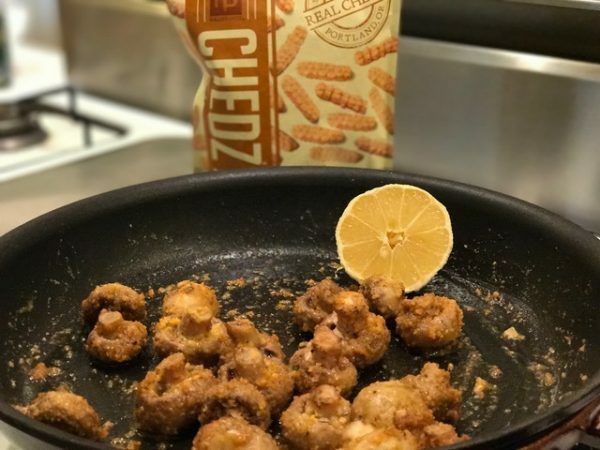 Add Chedz to them for a cheesier crunch and added flavor. Add these yummy croutons to your Super Bowl or any game night. Throw them on salads or crumble them on pastas. Add crushed Chedz crumbs and mix well. If you prefer more Chedz (our preference), then add more to croutons. Pour Chedz crouton mix on baking sheet and spread. Add more Chedz if preferred. 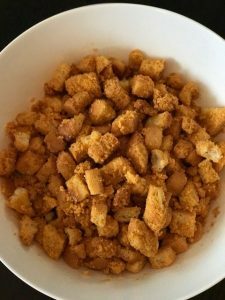 If you would like a solid coating of Chedz on the croutons, dip each crouton in Chedz crumbs (dip in olive oil first, then Chedz crumbs to ensure that it sticks). Bake for about 10 minutes. Take out of oven and let cool. Chedz Sriracha Cashews or other nuts (Almonds, Peanuts, Almonds, etc.) 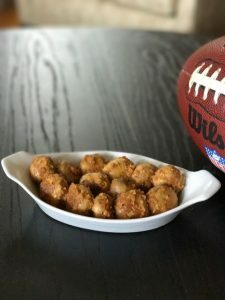 would be a great addition to a Super Bowl party or any game day event. 1-2 TSP Sriracha Add more if you want more heat. Leave out if you do not prefer spicy. 1 Ounce Crushed Chedz Crumbs (Any Flavor) We used Chedz Spicy but use Gluten Free if preferred. Rule of Thumb: 1 oz crushed Chedz for 1 cup nuts. Use more or less depending on preference. Crush Chedz finely. Use a rolling pin, food processor or the Magic Bullet. 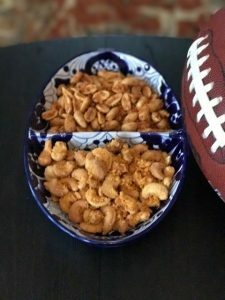 Add a cup of Cashews in a mixing bowl. Add 1-2 TBS of Olive Oil in a small bowl. Add 1-2 (or more) TSP of Sriracha to the Olive Oil and stir until mixed. 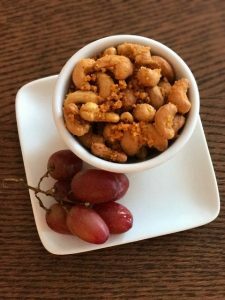 Pour the Olive Oil and Sriracha mix onto the Cashews and stir. Add crushed Chedz crumbs and stir until mixed. Bake in the oven for approximately 4-5 minutes. 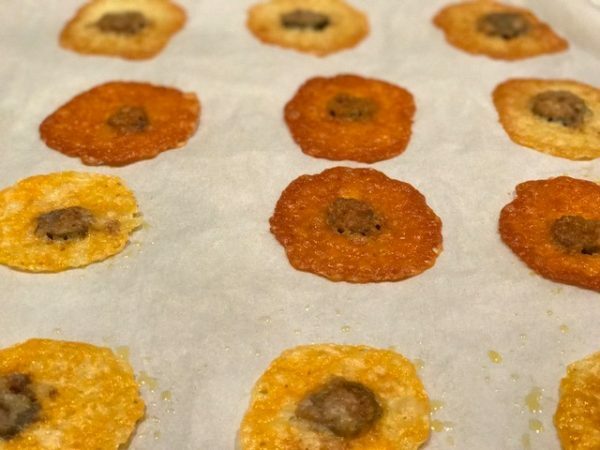 Watch carefully to ensure that the Chedz crumbs do not burn. Take out and let Cashews sit on the baking pan to crisp up. Once cooled, serve right away or store in air tight container. 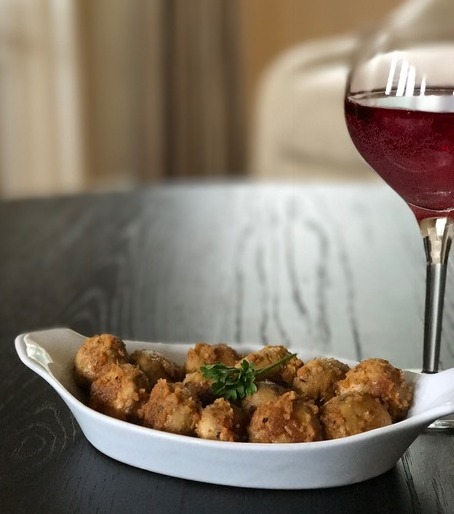 WINE PAIRING TIPS Red Fragrant, fruity Pinot Noir: 2006 Carmel Road Monterey White Fruity, peach-inflected Pinot Gris: 2007 King Estate Signature ENJOY! Pre-heat oven to 375 degrees. Prepare a baking sheet with foil and spray cooking oil. Peel potato skins off and cut into fries shape. Put fries in a bowl and add olive oil and mix. Add salt and garlic powder to the fries and mix. Crush Chedz to crumbs consistency with rolling pin or food processor. 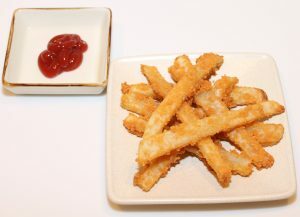 Add Chedz crumbs to the fries and toss. Use hands or spoon to rub loose Chedz crumbs onto fries. 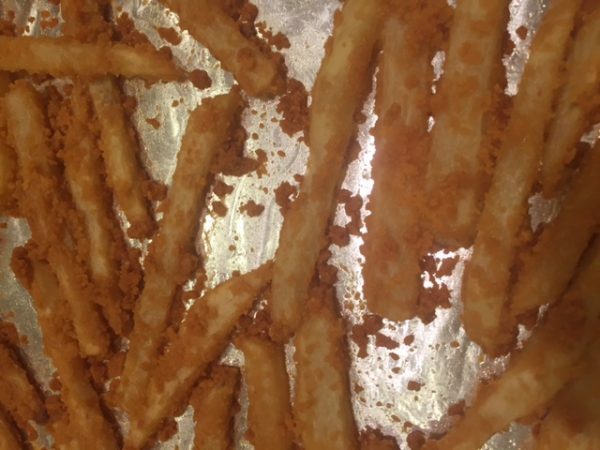 Pour fries on baking sheet; separate them out so they don't stick together during baking. For softer fries, bake for 35 minutes. For crunchier fries, bake for 45 minutes. ENJOY with ketchup or barbecue sauce.